By the time I got to the beach, the flowers had already started to shed petals into the sea. 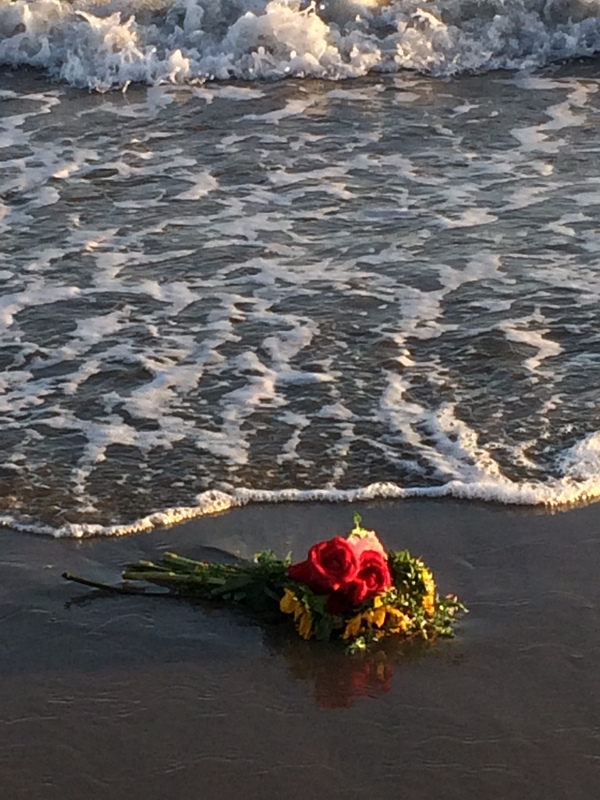 I don’t know what went down before I arrived, but a lovely bouquet in the surf can’t be a good sign. Too bold on the first date? Thanks for the birthday flowers, shame my birthday was last week? Flowers can’t buy forgiveness, you @#$%^? My inner optimist kicked an and read this as a romantic scene. Likely there was a a near-deserted island wedding. Post-ceremony, in a grand gesture, the bride tossed her bouquet into the waiting arms of the ever-lonely ocean. Love this! It does cry out for an explanation, doesn’t it?! Great take on challenge and definitely a photo with a story.